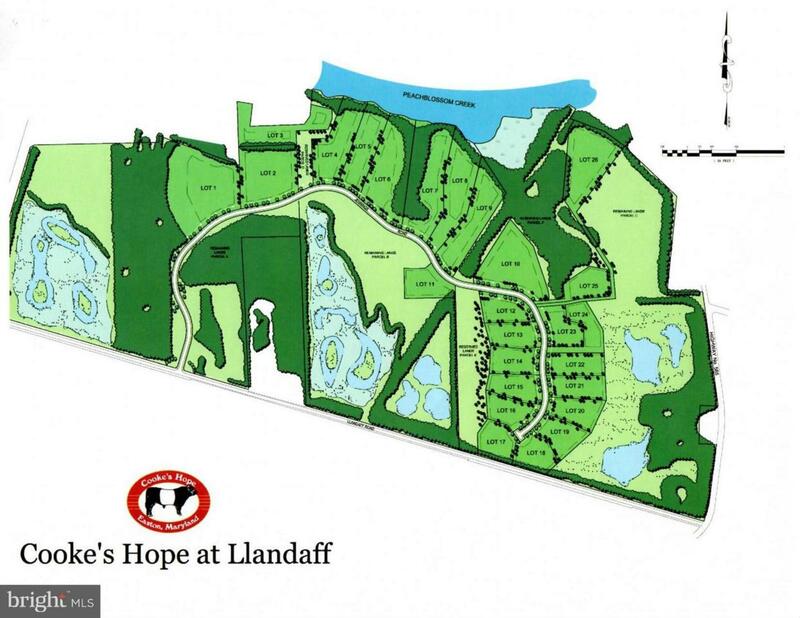 Lot 24 at Cookes Hope at Llandaff is a fantastic 2 Acre lot minutes from downtown with privacy, location and a setting unlike anything in the county. Approved 3 bedroom Perc and plat ready for your home. Backs to open space. Custom home designs available.